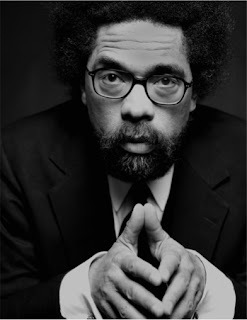 The liberal class, which attempted last week to discredit the words my friend Cornel West spoke about Barack Obama and the Democratic Party, prefers comfort and privilege to justice, truth and confrontation. Its guiding ideological stance is determined by what is most expedient to the careers of its members. It refuses to challenge, in a meaningful way, the decaying structures of democracy or the ascendancy of the corporate state. It glosses over the relentless assault on working men and women and the imperial wars that are bankrupting the nation. It proclaims its adherence to traditional liberal values while defending and promoting systems of power that mock these values. The pillars of the liberal establishment—the press, the church, culture, the university, labor and the Democratic Party—all honor an unwritten quid pro quo with corporations and the power elite, as well as our masters of war, on whom they depend for money, access and positions of influence. Those who expose this moral cowardice and collaboration with corporate power are always ruthlessly thrust aside. By extolling the power of the state as an agent of change, as well as measuring human progress through the advances of science, technology and consumption, liberals abetted the cult of the self and the ascendancy of the corporate state. The liberal class placed its faith in the inevitability of human progress and abandoned the human values that should have remained at the core of its activism. The state, now the repository of the hopes and dreams of the liberal class, should always have been seen as the enemy. The destruction of the old radical and militant movements—the communists, socialists and anarchists—has left liberals without a source of new ideas. The link between an effective liberal class and a more radical left was always essential to the health of the former. The liberal class, by allowing radical movements to be dismembered through Red baiting and by banishing those within its ranks who had moral autonomy, gradually deformed basic liberal tenets to support unfettered capitalism, the national security state, globalization and permanent war. Liberalism, cut off from the radical roots of creative and bold thought, merged completely with the corporate power elite. The liberal class at once was betrayed and betrayed itself. And it now functions like a commercial brand, giving a different flavor, face or spin to the ruthless mechanisms of corporate power. This, indeed, is the primary function of Barack Obama.